Myrtle Beach, South Carolina is one of the region’s most popular destinations for friends and families looking for an affordable and easily accessible summer getaway. For motorists returning home from the sunny locale this summer, construction on I-77 North at border of Virginia and West Virginia is causing hours of gridlock traffic. 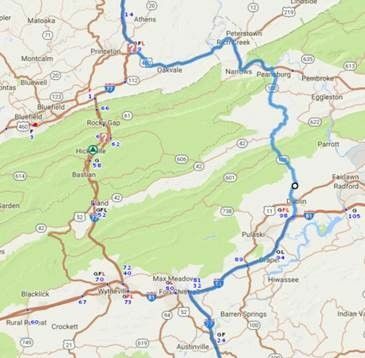 AAA East Central is advising travelers to consider the roadwork when planning the return road trip, and follow a suggested alternative route – a 17-mile detour that adds 30 minutes to the trip, but could save hours of waiting in traffic. As you approach the merger of I-77 and I-81, take exit 32 to merge onto I-81 North toward Roanoke. 16.5 miles later, take exit 98 for VA-100 North toward Dublin/Pearisburg. Take Route 100 North for almost 25 miles (through Pearisburg). Keep left at the fork towards US 460 West. In 23 miles, turn right to re-enter I-77 North. Close-up of AAA recommended detour to avoid congestion heading northbound on I-77 in Virginia and West Virginia. According to the Virginia Department of Transportation (VDOT), an extensive paving project in West Virginia is the source of the construction – which starts at mile 1 on I-77 and continues for eight miles in both directions. While that may not seem out of the ordinary for summer roadway construction, the source of the headaches for northbound drivers begins farther south in Virginia at the East River Mountain Tunnel where traffic is being reduced to one lane. 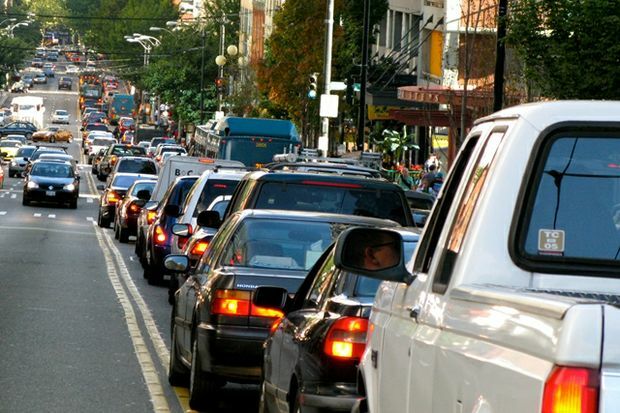 Be flexible – If your schedule permits, avoid traveling during peak times this summer - including Independence Day - to encounter less congestion and fewer crowds. Safety first –Get plenty of rest before setting out on your road trip. Schedule breaks every two hours or 100 miles to remain alert and avoid driving drowsy. Fill up – According to a AAA survey, 24 million American drivers continue to drive after the low fuel warning light turns on. Not only can this increase your chances of being stranded in traffic waiting for roadside assistance, but it can do lasting damage to your vehicle’s fuel system. AAA East Central also recommends that travelers utilize a AAA TripTik when planning their summer trip. A staple for AAA members for decades, TripTiks give motorists the “lay of the land” – offering turn-by-turn directions to their destinations, as well as points along the way (hotels, restaurants, attractions, etc.) TripTiks can be obtained at any AAA branch office (AAA.com/branches), or online at TripTik.AAA.com.